Can I deduct employee-related business expenses? In this case, the employee could report all unreimbursed employee expenses on the tax return as an itemized deduction (subject to income limitations, explained below). In this case, the employee could report all employee expenses on the tax return as an itemized deduction (subject to income limitations, explained below). This goes toward offsetting the tax liability resulting from the employer’s inclusion of reimbursements into W2 income. In this case, the employee cannot report any expenses since the employer effectively already provided full reimbursement. Otherwise, there would be a “double benefit” on the expenses. Employees can generally deduct only the part of their unreimbursed employee expenses that exceeds 2% of adjusted gross income from that tax return (includes income from both taxpayers, if married filing joint). For instance, if adjusted gross income is $50,000, only expenses that exceed $1,000 (2%) can be deducted. So $5,000 in expenses would provide a $4,000 net deduction in this case. The deductible expense amount is then added to the total itemized deductions to determine the ultimate deduction. 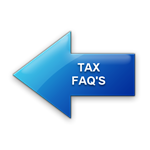 Click here for more on the standard deduction vs. itemizing deductions.